Q:Does this favor come with the box shown in the photo? A:Yes, this stopper will arrive in the packaging shown in the photo. 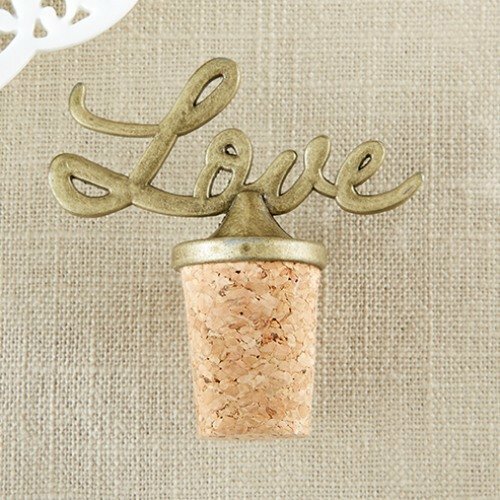 These love bottle stoppers make a gorgeous favor for any wedding. With a cork bottle stopper and "love" script on top, this favor is both pretty and practical. Add a thank you tag to each for a special personalized touch.